This is topic Converting audio files in forum General Yak at 8mm Forum. Are there any audiophiles on here that know if there a way to convert existing audio files on my laptop to either AAC or MPEG file I have saved some vinyl records that I want to put on iTunes but iTunes converts them to a wav. file and it wont let me add artwork with a wav. files my other songs I've added years ago were AAC or MPEG audio files these files will allow one to add artwork. The WAV. files play fine just wont let one add artwork. Hi Jim. Have you checked Audacity? I'm not sure if it does what you want, but it is free and very good. If you are running iTunes on a Mac then there are options sort of tucked away (as only computer designers can do) that allow you save in iTunes to AAC and MPEG3. WAV is a Microsoft format so possibly you are running iTunes on a Win machine and it always likes to default to WAV. Audacity as Barry posted also lets you save files in various formats but I have no idea how one could save the artwork. I have been using Audacity to slowly put all our vinyl records onto a SSD external drive. Its slow and tedious editing the file so the tracks are separated rather than having the record as one long continuous file. Audacity being freeware has lots of very helpful tutorials on YouTube so might be worth a look at it. Been using Audacity for about 18 months and STILL discovering features I never knew existed. It is quite a stable program in either Windows or Mac machines. I use audacity for work I do almost daily. It is a superb program and will do what you need Jim. I also use wondershare video converter which is a paid program but is good for simple editing and can convert like you need! The thing with itunes is... with the albums you have saved in wav from vinyl...are these vinyl albums ones in which itunes may have for sale in their database? If yes, then you may be able to add album artwork still, if you can match the titles to their db songnames. for example,If you had named an song/album "Nick Drake_pink moon", which was spelled in iTunes Store as "Nick Drake - Pink Moon". Changing the name enables iTunes to recognize the album. Jim, Providing that your iTunes version is the same as mine, follow these steps. 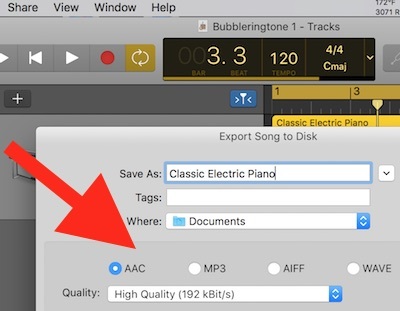 If your version is not the same, just noodle through the items in iTunes Preferences and the sequence is the similar to make your setting for importing sound files. Michael thanks for that info however that setting is for importing CD's I did try to set it to AAC but my file still is imported as a WAV. I used to have quicktime on my older pc but havent downloaded it on my newer laptop most of my older music was encoded with quicktime. 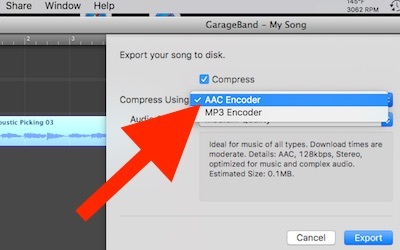 If you have Garage Band for mac, this tutorial on You Tube may be your solution. 1. 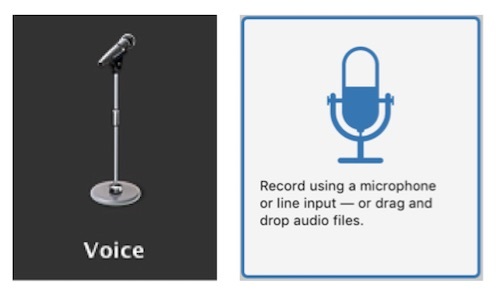 I checked that when starting a new project, click the Microphone, icon to prepare the audio import. 2. Various versions of Garage Band show the Microphone icon differently. 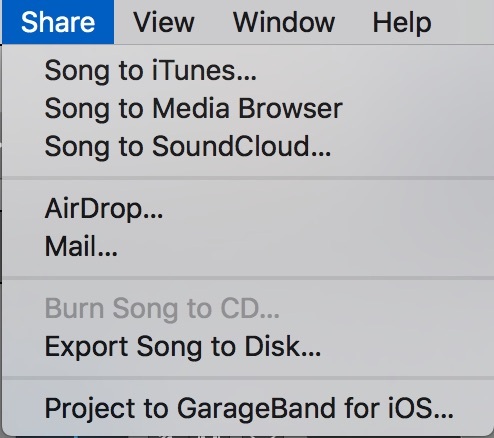 Share and scroll down to Export Song to Disk. 4. The drop down box will provide choices for various code formats as AAC, Mp3 etc. The images below show different versions of Garage Band. After searching for hours on this there is a easy explanation on YouTube, not even apple techs could assist me when I called them on 2 different occasions. Michael’s explanation was the closest he forgot to mention one had to go into and convert the chosen song to a mp3. Problem solved. I do this stuff all the time. When I convert, I don't use or suggest using WAV or the Mp3 code format. Yep, the Apple Tech's may not know, that's why I provided different options using various APPs, with visual illustrations comparing the differing versions of iTunes / Garage Band, so everyone will benefit when contemplating how they are able to format sound files with this system. That's simple, clicking the sound file and it converts according to the code options that are selected. Quicktime Pro has options to convert and export sound files to AIFF.